Chinese New Year, chat club games and 5 generations! 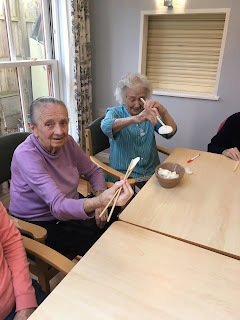 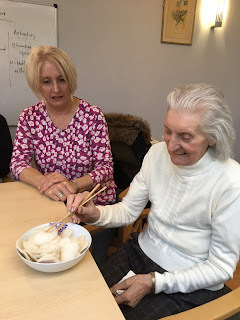 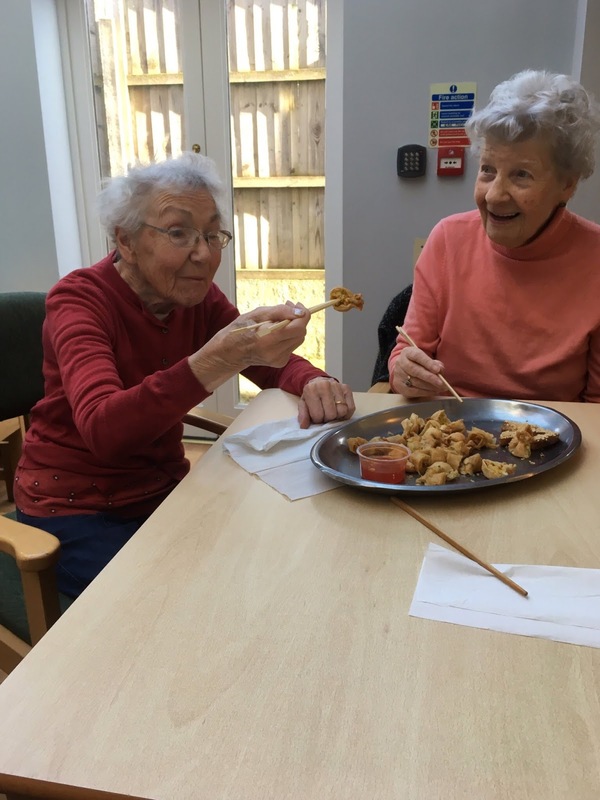 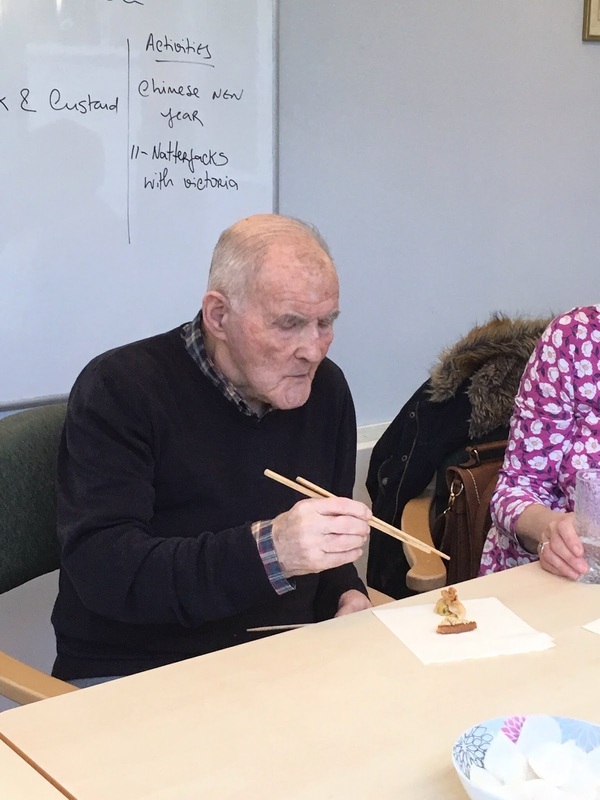 To celebrate the Chinese New Year we have been enjoying some Chinese cuisine and trying out eating with some chopsticks! 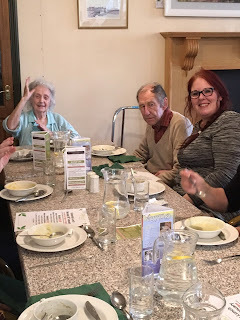 Also we had Phyllis' family come in. 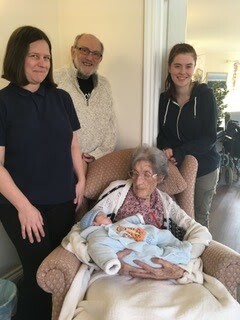 Jade, Phyllis' great grand daughter brought in her baby son, so that all 5 generations were together at once! 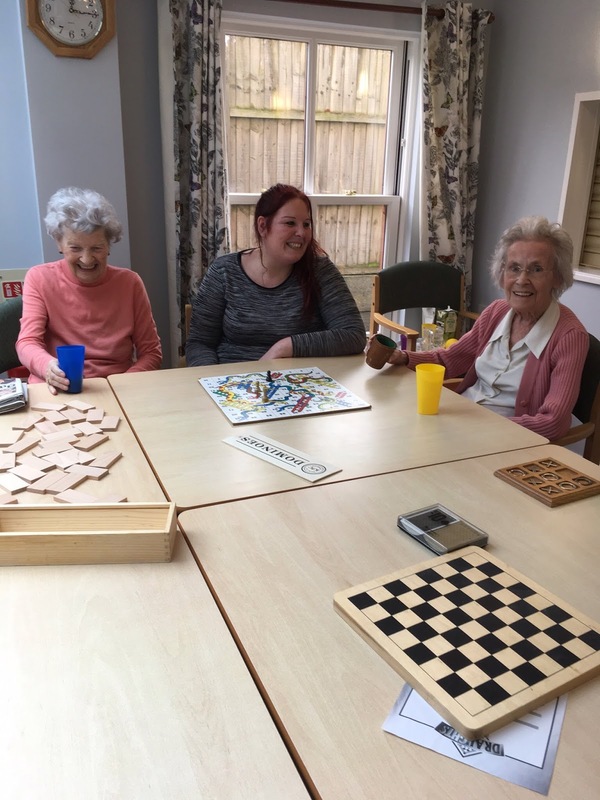 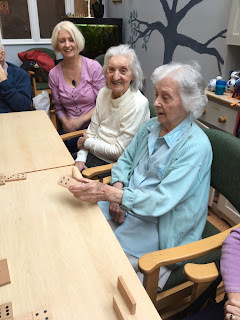 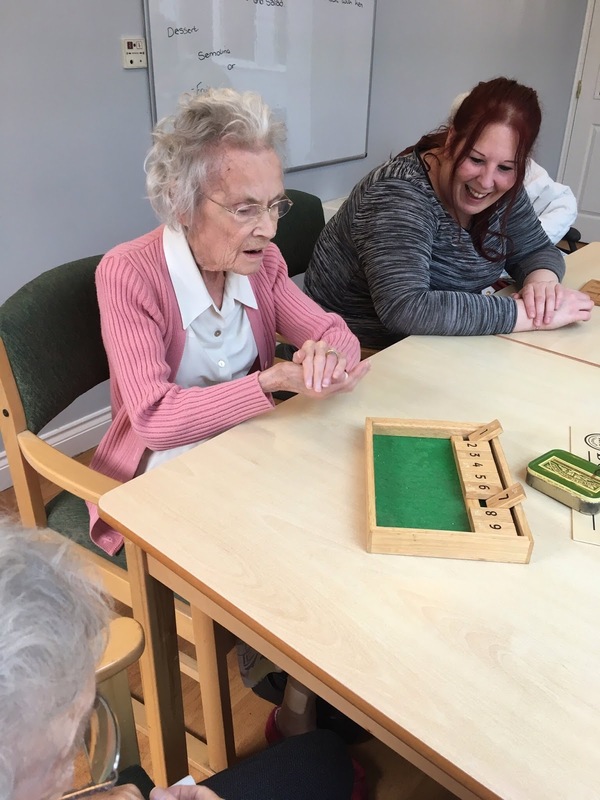 And then in chat club we have been getting the games out again, which proved a huge hit! 2 month old baby Sebastin with Great Great grand mother Phyllis. 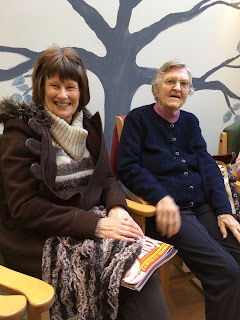 Nikki on the left is Grandmother. Jade on right is mum and Barry in the middle is great grand dad. 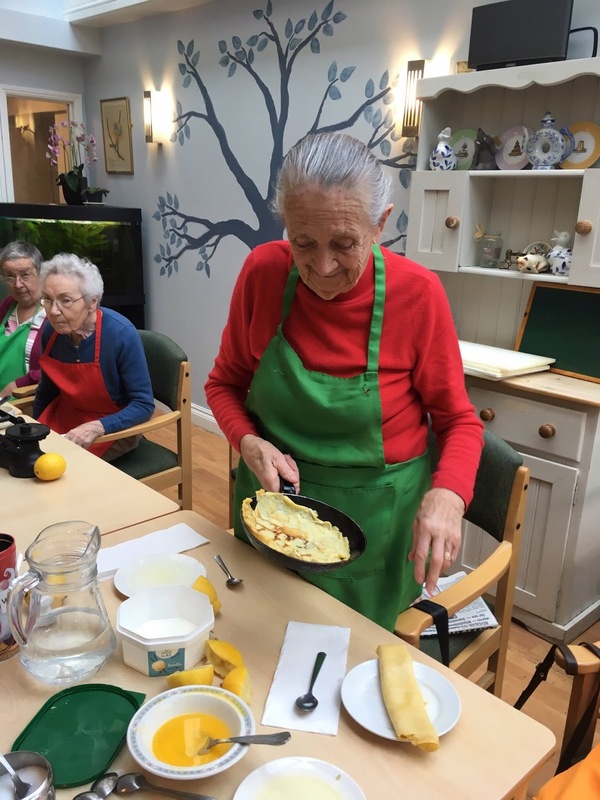 It wouldn't be Shrove Tuesday without pancakes so that's exactly what we did! 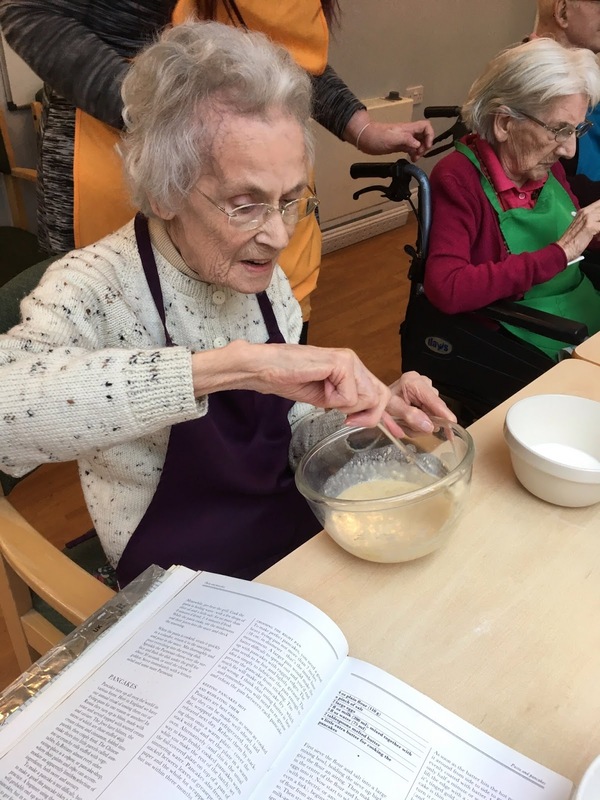 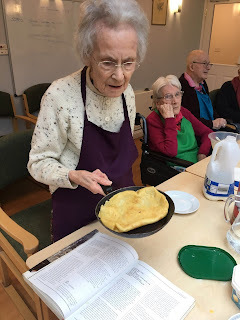 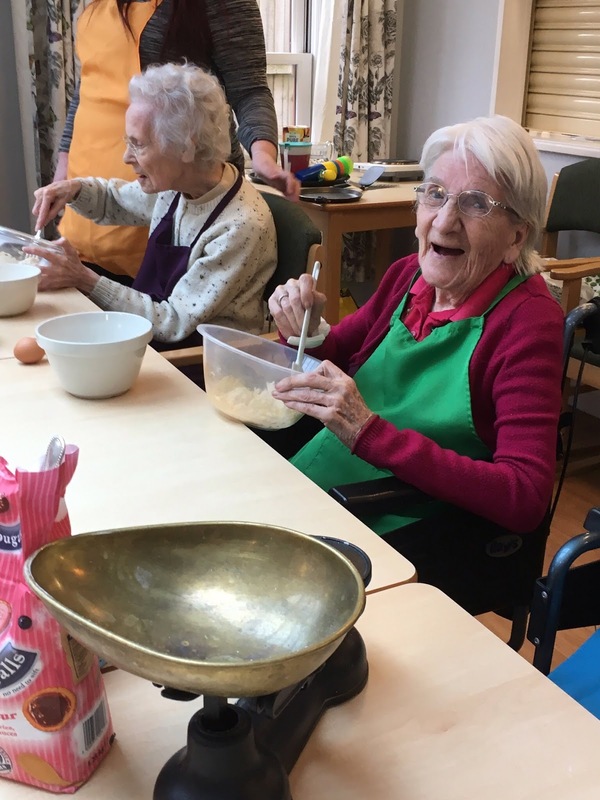 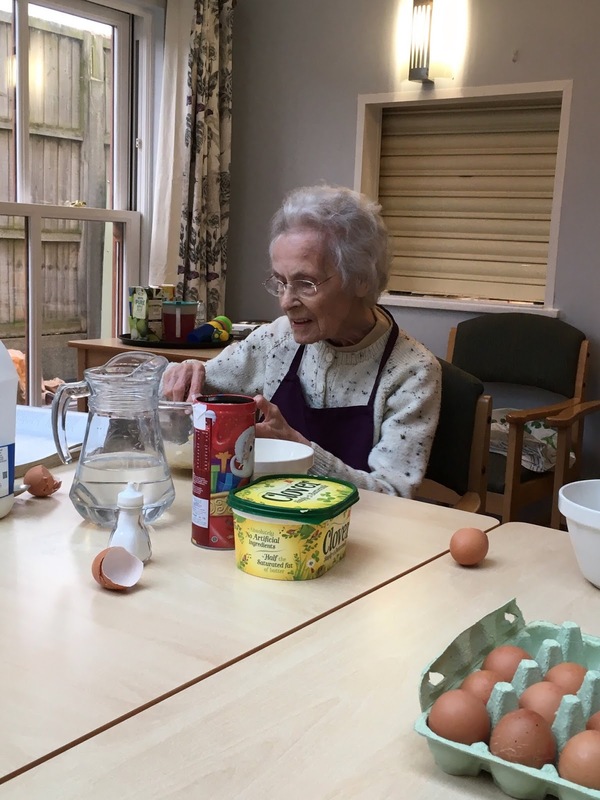 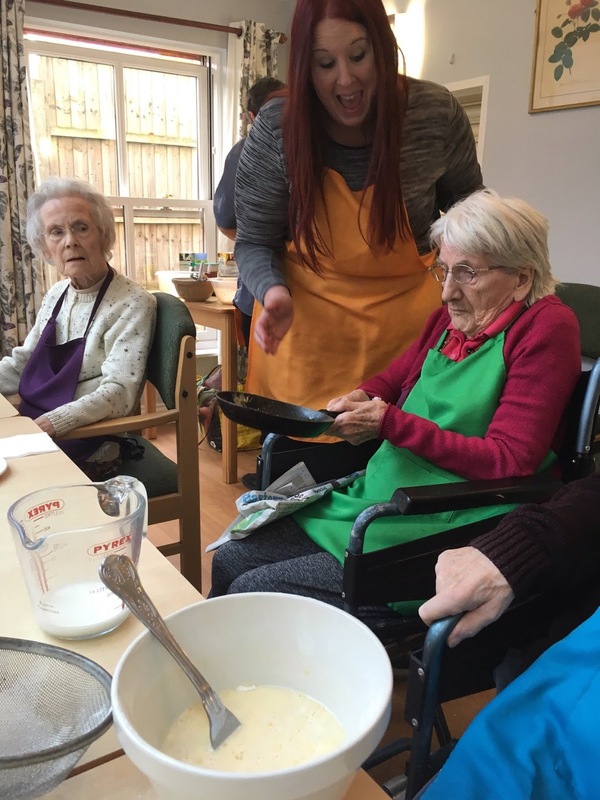 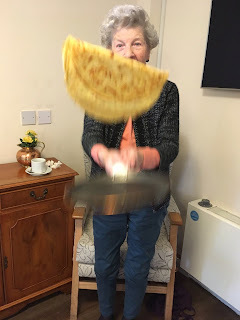 Everyone really enjoyed making the pancakes and a few even had a go at tossing them! Ena has a go at tossing the pancake! 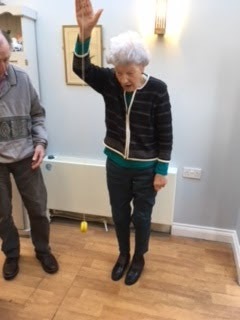 And a fantastic toss from Betty! 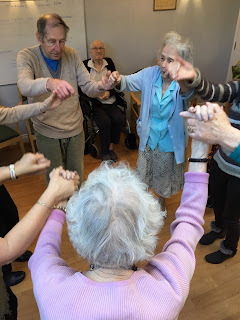 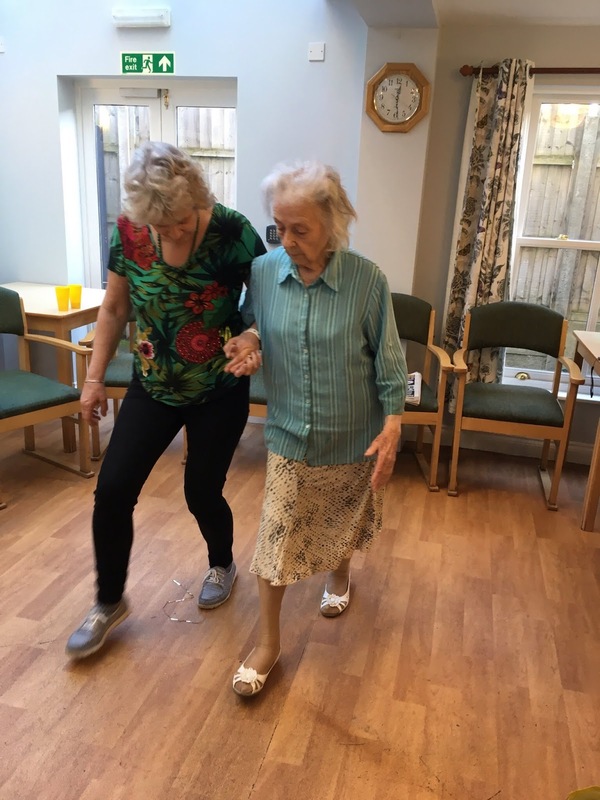 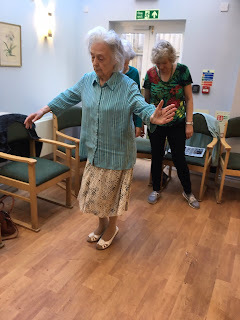 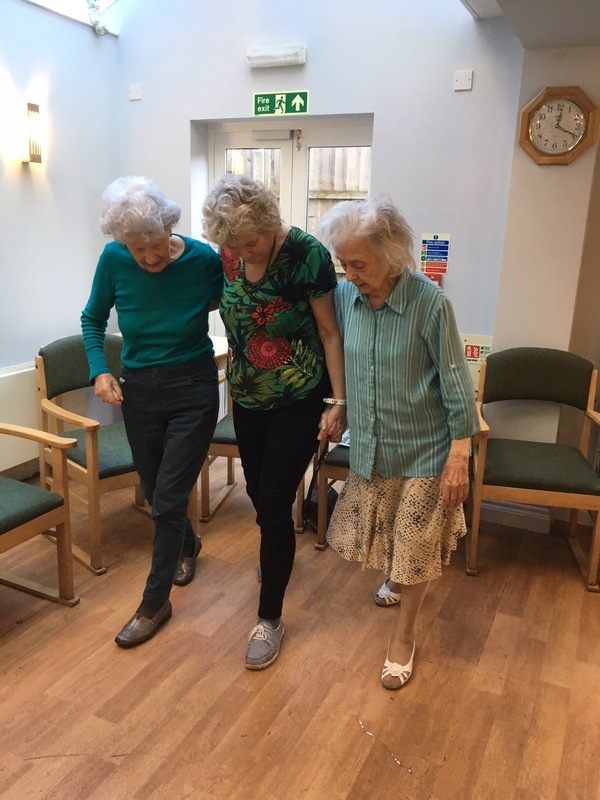 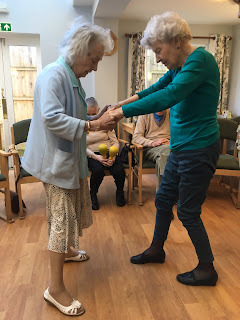 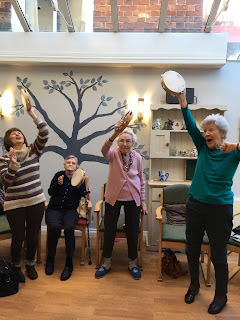 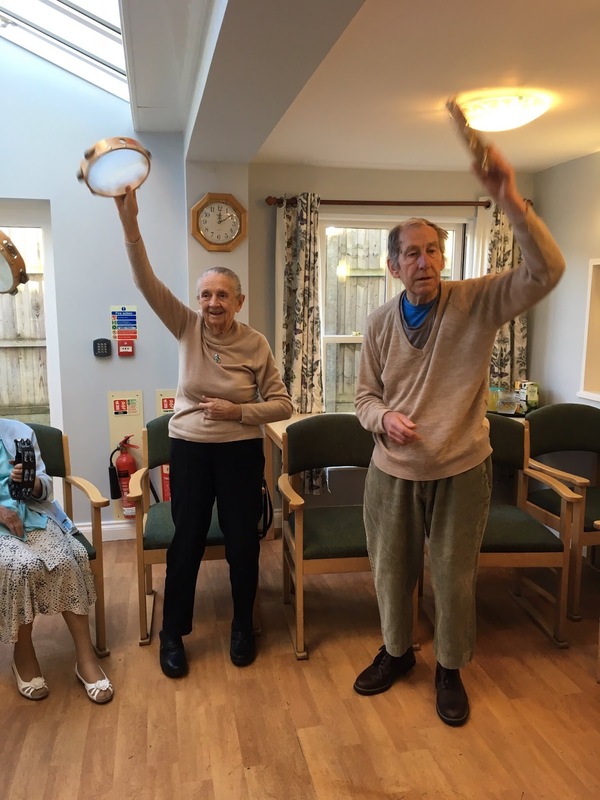 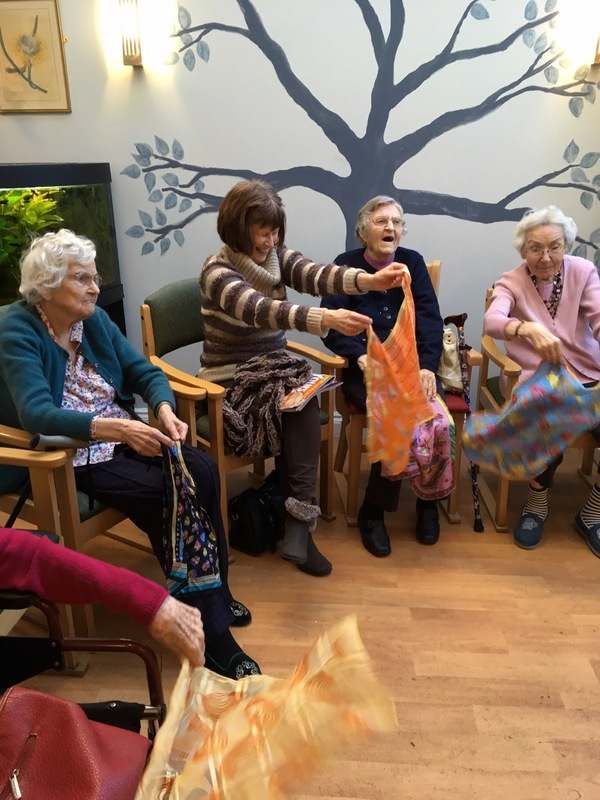 Movement to Music, trip to Bawdeswell and young visitors. Gosh what a busy month January has been! Even though the social media rep has been MIA for the last few weeks, Woodspring House has been really busy! 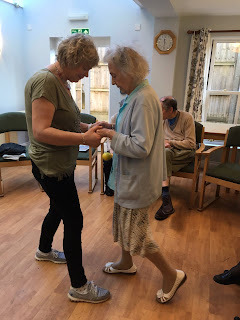 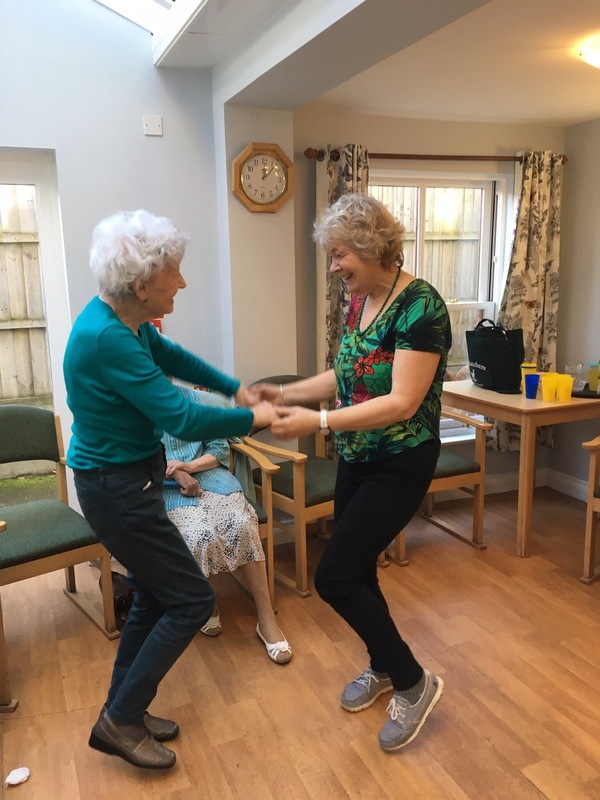 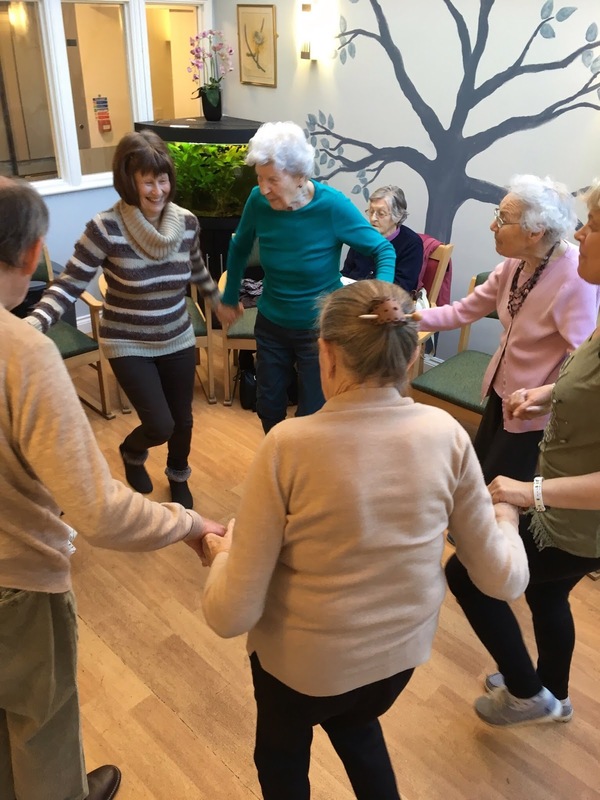 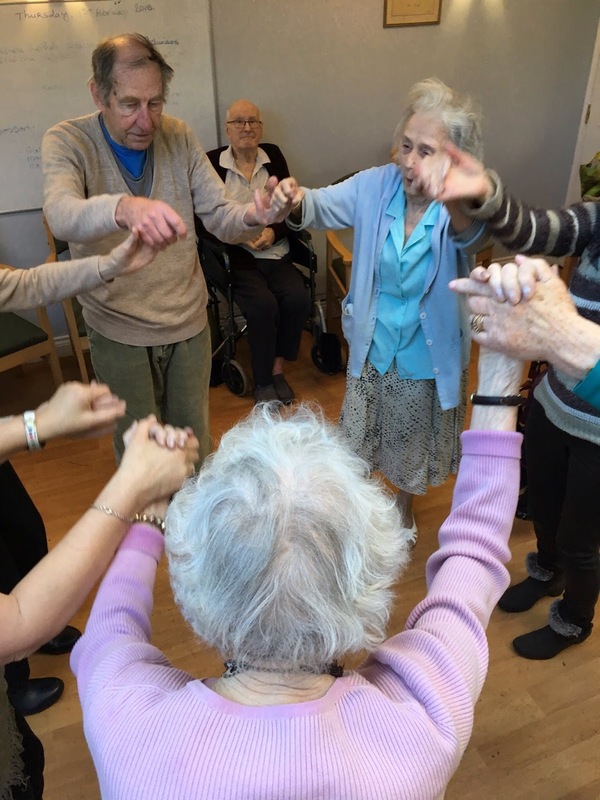 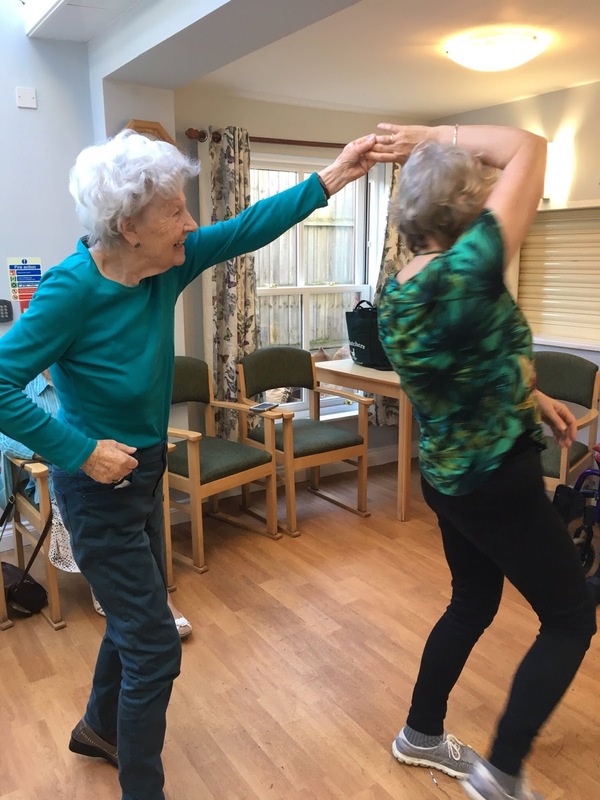 As ever Heather has been getting everyone going in Movement to Music. 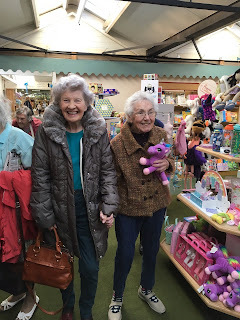 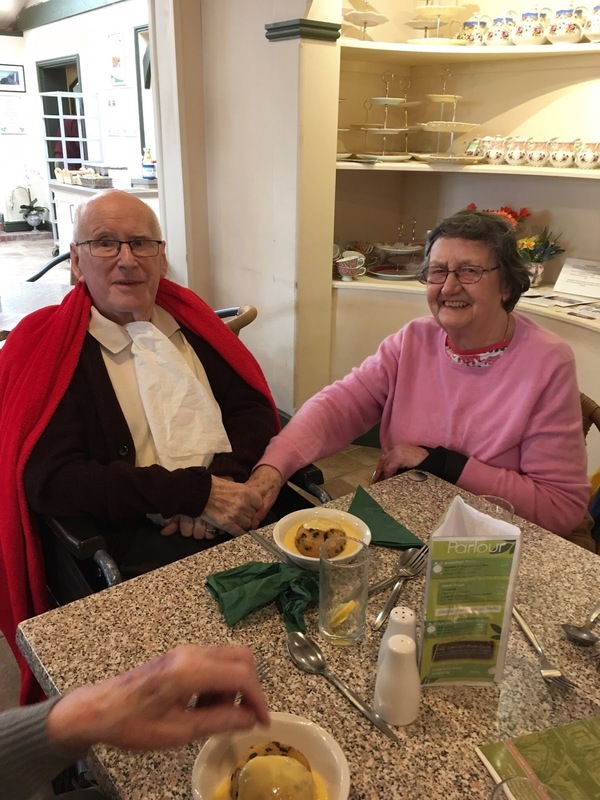 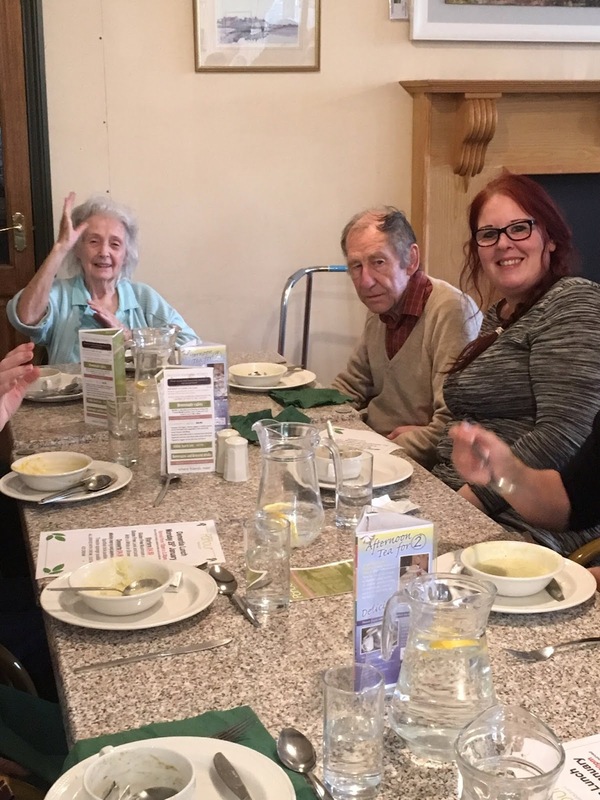 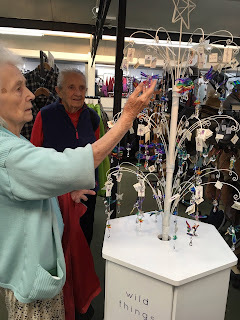 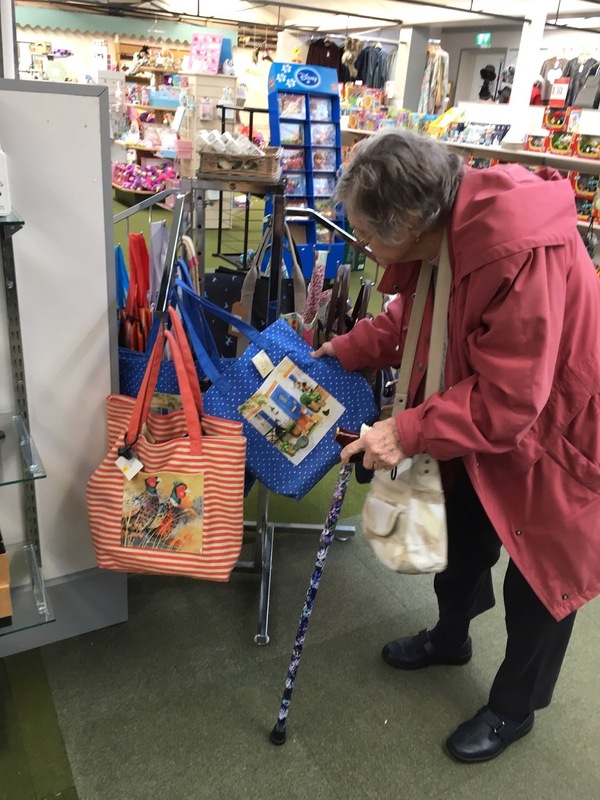 There was also a trip to Bawdeswell Garden Centre for a dementia friendly lunch, where a bit of shopping was had. 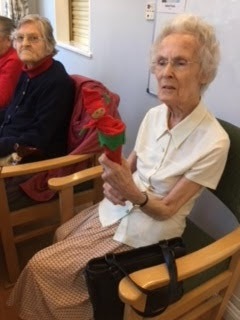 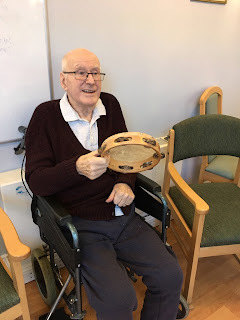 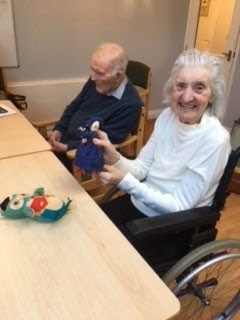 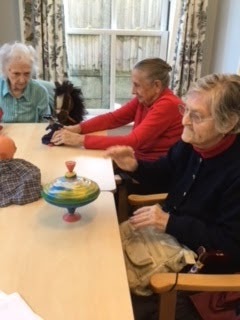 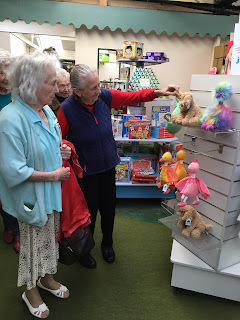 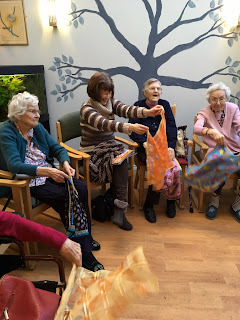 In chat club people have been reminiscing about their favourite old toys and having a good with them again and I mustn't forget to mention we had Burns night, where resident Scot, Betty, showed us how it was done! 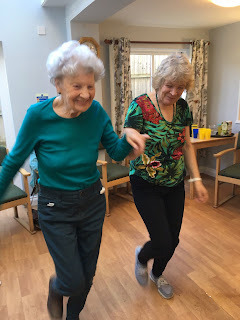 Betty and Heather dance the Gay Gordons on Burns Day, there was Haggis after. Gosh, they'll need a haggis after all this dancing! Emma, staff member brought in 5 month old Lathan for a visit. 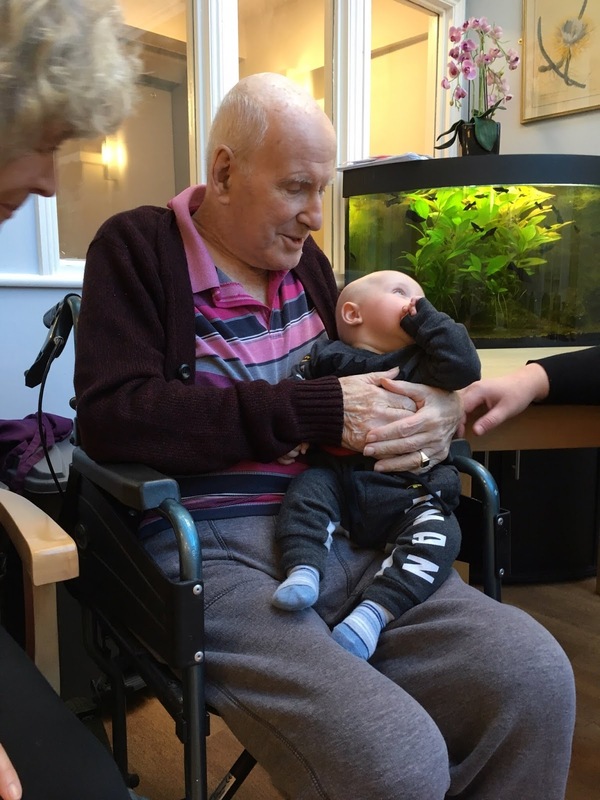 Here is Andrew having a cuddle. 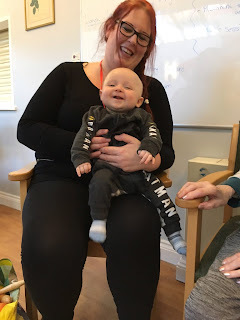 Victoria and Lathan smile for the camera! Movement to music again, this time with an even bigger crowd! 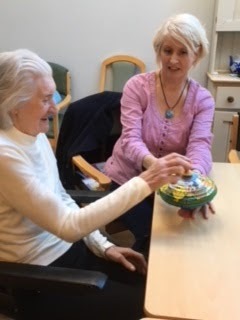 Joan with her friend Janet. Everyone gets moving in Movement to music! 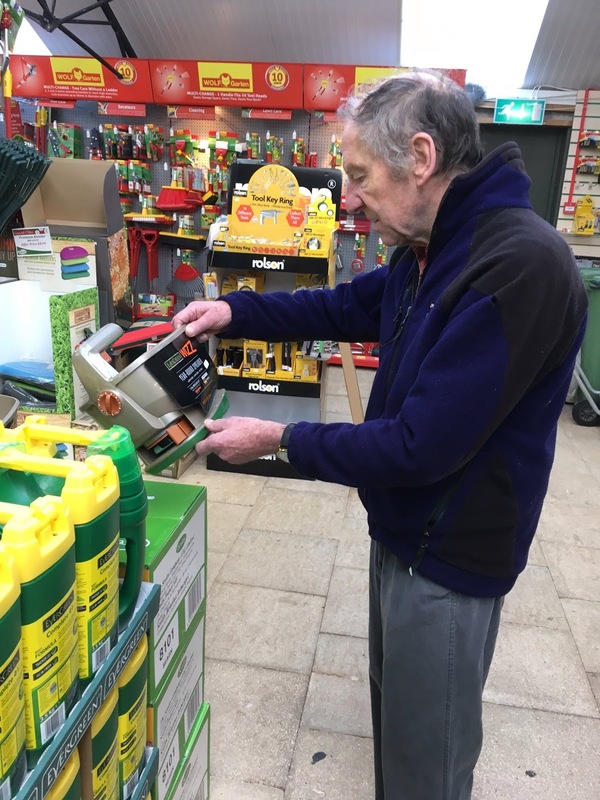 Brian at Bawdeswell garden centre. 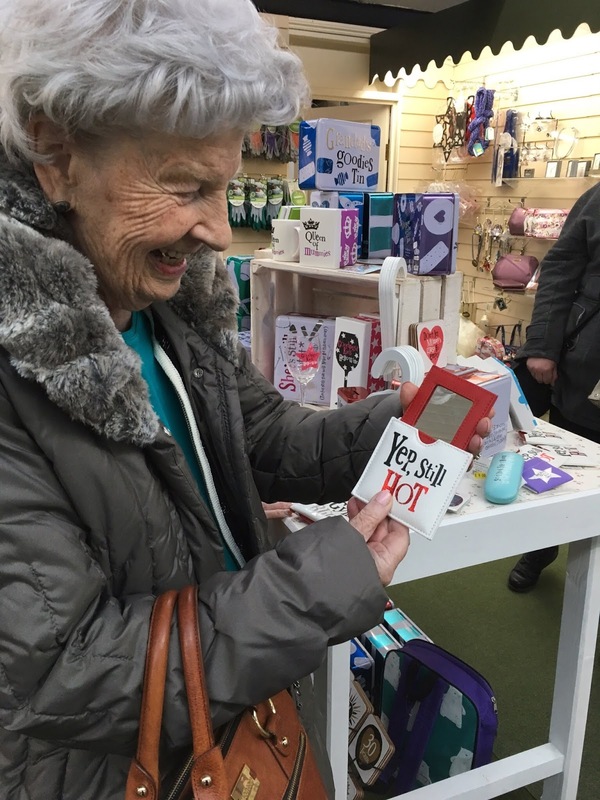 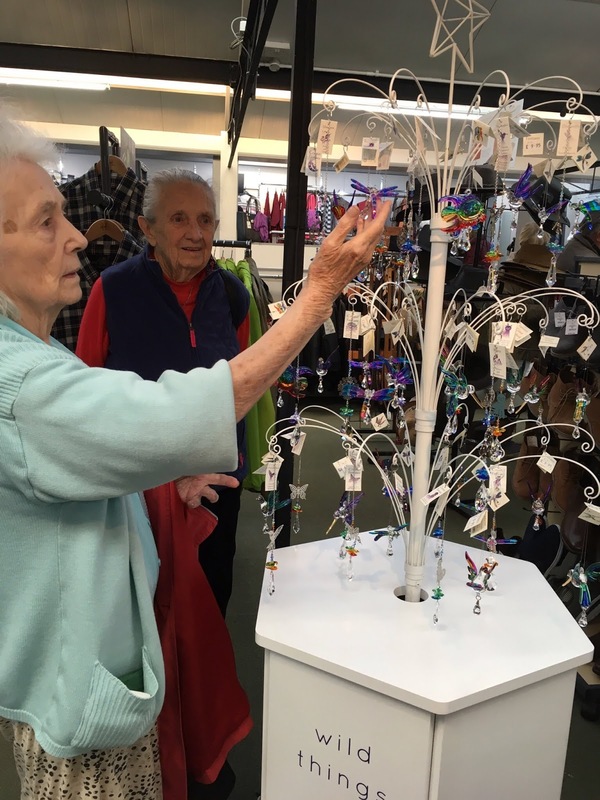 Betty at Bawedeswell garden cente - finding herself the perfect gift! 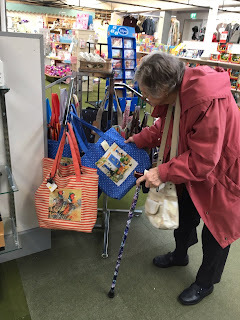 Joan shopping for a new bag. Betty and Pauline happy with their shopping purchases! 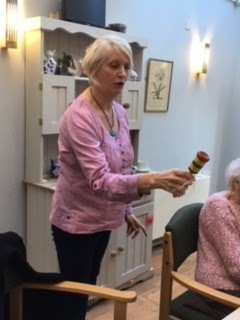 Joan with the spinning thing..
Diane has a go with the cup and ball. 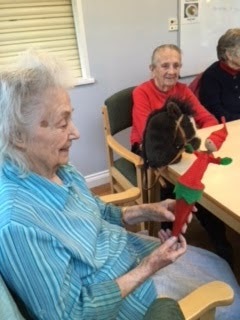 Irene with the upside down doll. 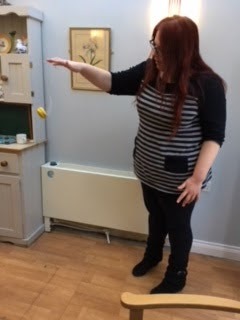 Ena makes a fine job with the yo-yo. 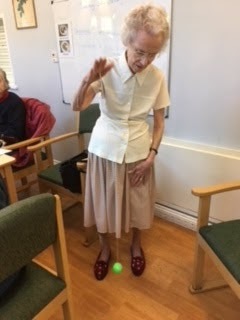 Victoria has a go with the yo-yo. 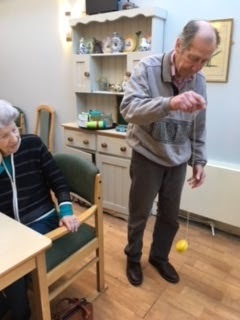 Brian shows everyone how its done! 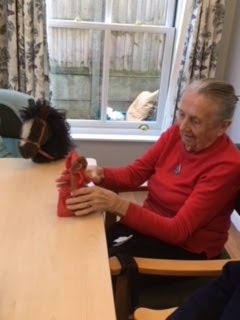 Gwyneth with the pop-up toy. 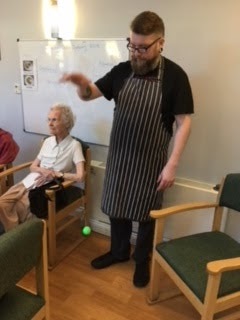 Chris the cook can't resist and has a go with the yo-yo.